Ford is recalling certain 2012 Taurus, Explorer and Lincoln MKS vehicles to address a fuel tank leak that may occur in the event of an accident. Affected by Tuesday’s recall are 3,500 model year 2012 Ford Taurus, Explorer and Lincoln MKS vehicles that may contain an improperly melded fuel tank-seam. As a result, certain vehicles may leak fuel at the seam in the event of an accident. 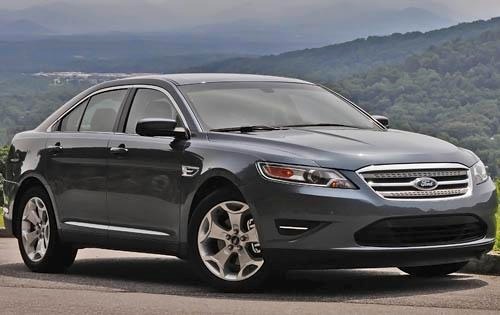 The recall impacts 2,537 Taurus sedans, 968 MKS sedans and 30 Explorer SUVs. Roughly 3,000 of the vehicles were sold in the United States, while the rest were sold in Canada, Mexico and Europe. All affected vehicles were built at Ford’s Chicago Assembly Plant. According to Ford, it has not received any reports of any accidents or injuries, but it is, however, aware of six reports of tanks exhibiting fuel odor or leakage. Ford has not released a recall schedule date, but did state that it will check fuel tanks in the recalled vehicles and replace faulty fuel tanks, free of charge. In the meantime, owners may contact Ford at 866-436-7332 or visit the Ford Recall Notices website. Concerned drivers may also contact the National Highway Traffic Safety Administration’s Vehicle Safety Hotline at 1-888-327-4236 or go to www.safercar.gov. Ford should release an exact recall schedule date in the upcoming days. This week’s recall caps off a troubling month for Ford in terms of recalls. Earlier this month, Ford recalled 230,000 model year 2004-2007 Ford Freestar and Mercury Monterey minivans globally due to rust problem that may cause third-row seating to become lose. The recall impacts 196,500 vehicles in the US, as well as another 33,500 in Canada and elsewhere overseas. The recall only concerns Ford Freestar and Mercury Monterey minivans sold in “salt belt” states. Click here to check out the 20 states affected by the recall. Ford’s corrosion recall is the result of a 14-month investigation conducted by the NHTSA, which traced the problem back to August 2011 incident. According to Ford, it has received 80 complaints of rust, but no injuries or accidents have been reported. Ford also recalled all-new 2013 Ford Focus, Escape and C-Max vehicles earlier in March because of a child safety lock issue. According to documents filed with the NHTSA, certain vehicles may contain incorrectly installed child safety locks, which may fail to engage. As a result, owners may think that the child lock is working when it is not. The recall concerns 5,675 vehicles in the US and 859 in Canada.